Attendees of the second Summit on Community Networks in Africa in Nairobi, Kenya on 25 May 2017. Photo by Internet Society and used under a CC BY-NC-SA 2.0 license. The call for contributions to the 2018 work of the IGF Best Practice Forum (BPF) on Gender and Access is now open. Please feel free to disseminate this call to any relevant contacts and networks. This year, the BPF is exploring the impact of initiatives that support/develop alternative models of connectivity that directly or indirectly respond to the needs of specific populations of women and gender variant individuals. This work builds on their previous work which in 2015 looked at online abuse and gender-based violence, in 2016 aimed to identify the different barriers that women face with internet access, and in 2017 focused on gathering information about specific communities of women. A survey to invite inputs for 2018 from all stakeholders can be accessed here. The survey will remain open until 30 September 2018. You can also send text/audio contributions to gender@intgovforum.org. Please do not email video submissions; if you prefer to send in video testimonies, please upload them to your preferred video service platform (e.g. YouTube) and email the URL. To learn more about the BPF's work and how to participate, please click here. The call for input for the fourth phase of the IGF Connecting and Enabling the Next Billion(s) project is now open. Please feel free to disseminate this call to any relevant contacts and networks. The objective for CENB IV is to collect concrete stories showcasing how connecting the next billion(s) helps achieve broader Sustainable Development Goals such as Energy (SDG7), Decent Work (SDG8), Infrastructure Development with particular linkage with internet access (SDG9) and Partnerships for the Goals (SDG17). The activity builds on Phase I, Phase II, and Phase III of the CENB which offered a set of high-level recommendations for policy leaders. With the combination of four phases of the CENB project, policy makers will be able to use both policy recommendations and concrete findings (case studies) from the IGF community. The call for inputs is open until 30 September 2018 and is available on the website here. Please refer to the above link for further guidance on submissions. You can email your contributions to cenb@intgovforum.org. Alert Youth Fund is an independent fund which provides seedfunding to small-scale projects organised globally by and for young people. The fund is designed to support and encourage youth as driving forces of change and contribute to a more equal division of knowledge, wealth, power and a better environment. Alert prioritises proposals related to the following areas: Social and Political Participation, Environment and Sustainability, Emancipation and Sexual Rights, Peace and Dialogue and Human Rights and Global Justice. There are two funding streams: regular seedfunding applications (up to €1500) as well as fast track requests for smaller projects (up to €250). Applicants must be between the ages of 18 and 32 to apply. Read more. USAID has relaunched its open innovation programme, Development Innovation Ventures (DIV), and is now accepting grant applications for products, technologies, services, or applications that can scale breakthrough solutions to critical global development challenges to improve millions of lives. Read more. ISIF Asia has announced the winners of its grants and awards for 2018. This year, 10 organisations in the Asia-Pacific region will receive USD 210,000 to support research and development of internet technologies for the benefit of the region. Read more. The winners of the 2018 FIRE Africa Grants programme have been announced. The five selected projects, which focus on “Women Empowerment in ICT” and “Community Networks”, were chosen from a pool of 106 applicants in 17 countries. Read more. The Beyond the Net Funding Programme has selected 15 chapter projects to fund for its 2018 grant cycle. The winning proposals aim to develop community networks in underserved areas, empower women through ICT, and spread awareness of internet policies globally. Read more. The Forum on Internet Freedom in Africa (FIFAfrica) will take place in Accra, Ghana on 26-28 September 2018. There will be a session on community networks, internet exchange points (IXPs), universal access funds and broadband strategies on Thursday 27 September. The panel is titled “What’s the Future of The Unconnected?” Read more. The Indigenous Connectivity Summit will be held in Inuvik, Northwest Territories, Canada on 10-11 October 2018. The event will focus on the sustainable development of community networks in North American Indigenous communities. Read more. Read more. [En español] El taller de Redes Comunitarias en 5º Conferencia de Gestión de Espectro en América Latina se celebró el 7 de septiembre. Para ver la información del taller, accede aquí. - Día 1: Accede aquí. - Día 2: Accede aquí. - Día 3: Accede aquí. - Día 4: Accede aquí. - Día 5: Accede aquí. [En español] La Jornada Abierta de la Cumbre Latinoamericana de Redes Comunitarias se celebró el 15 de septiembre. Para ver la información de la jornada, accede aquí. [En español] La Cumbre Latinoamericana de Redes Comunitarias se celebró entre el 7 y el 17 de septiembre. Para ver la información de la jornada, accede aquí. 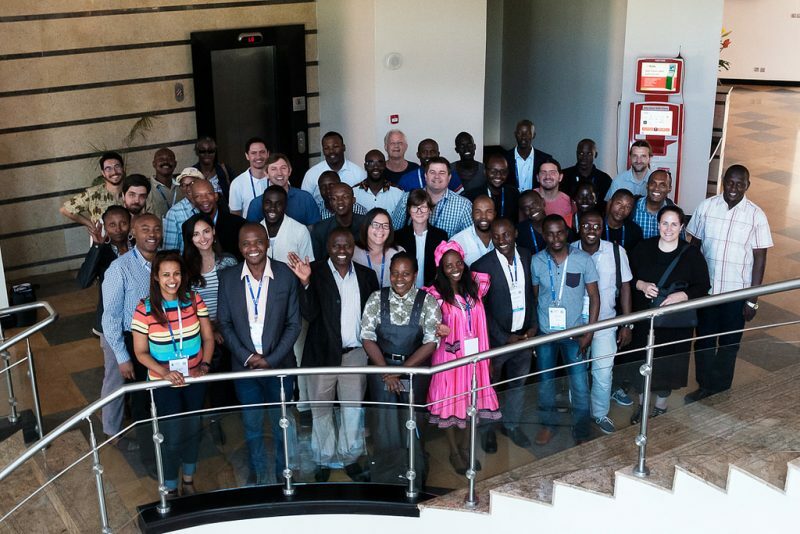 The Third Summit on Community Networks in Africa, organised by the Internet Society, APC and Zenzeleni Networks, was held 2-7 September 2018 in the Eastern Cape, South Africa. The event brought together participants from 13 countries to promote the creation and growth of community networks, increase collaboration between community operators in the region, and provide an opportunity for engagement with other stakeholders including content producers, regulators and policy makers. Day 1 of the conference focused on technical training while Day 2 centred on sustainability and governance. Read more hereand here. The second OpenCellular Workshop was hosted by iHub in Nairobi, Kenya from 11-12 September 2018. The summit brought together technology and community leaders to share insights and drive discussions around the internals of the OpenCellular technology, design, testing, security, grant programme and many other topics. 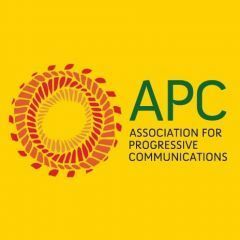 APC and CRASA held a networking event 9 September 2018 in Durban with the theme “Changes in the telecommunications landscape, changes in access priorities, changes in technologies and their implications for achieving universal, affordable access to communication in Africa.” Read the keynote speech delivered by Malcolm Johnson, ITU Deputy Secretary-General here and find Alison Gillwald’s presentation on “Digital Inequality in South Africa” here. Read more about the event and the other presentations given here. Rhizomatica, winner of the Mozilla NSF-WINS Challenge Grand Prize. Read more. Gender and community networks: Researching social and gender impact. Read more. [En español] Red indigena de telecommunicaciones en México ofrecera internet y telefonía vía satélite. Leer más. [In English] Indigenous telecommunications network in Mexico to provide telephone and internet services via satellite. Read more. Community networks key to connecting Africa. Read more. Community networks important for ensuring an internet for all. Read more. Indigenous Access: “We Haven’t Reached Our Full Potential.” Read more. Connecting the Ocean View community. Read more. Learning by Doing: Have You Heard of the Suusamyr Community Network in Kyrgyzstan? Read more. Third Summit on Community Networks in Africa a Success. Read more. Who can still doubt the capacity of community networks to provide universal access? Read more. Changes in the telecoms landscape and their implications for universal, affordable access to communication in Africa. Read more. Free spectrum and freedom of expression in the 21st century. Read more. Community networks recognised as an emerging topic in UN resolution on WSIS follow-up. Read more. UNESCO Internet Universality Indicators online consultation conducted with academic, civil society and government stakeholders. Read the submission of netCommons, a Horizon2020 research project focused on community networks, here. The report outlines evolving technologies, evaluates progress toward the UN Broadband Commission targets, discusses sustainable development and highlights recommendations for boosting broadband. There is no mention of community networks. Read more. de Graaf, A. (2017). “The dynamics of community innovations: A socio-technical analysis of the shaping of The Things Network – an Internet of Things community network.” Read more. Gwaka, L. T., May, J. and Tucker, W. (2018). “Towards low-cost community networks in rural communities: the impact of context using the case study of Beitbridge, Zimbabwe,” E J Info Sys Dev Countries, 1-11. Read more. [En français] Huguet, François. (2017). “Le déploiement des réseaux communautaires sans fil (MESH): De la nécessité de former à la médiation infrastructurelle,” Netcom, 33-52. Lire la suite.